Mannequin: Working Women in India’s Glamour Industry manages to avoid the traditional trap of pitting feminists and the glamour industry against each other. The last time someone tried to explore the modelling or ‘glamour’ world, we got Fashion – a cringe-worthy film that lived up to every stereotype that the fashion world is said to have. 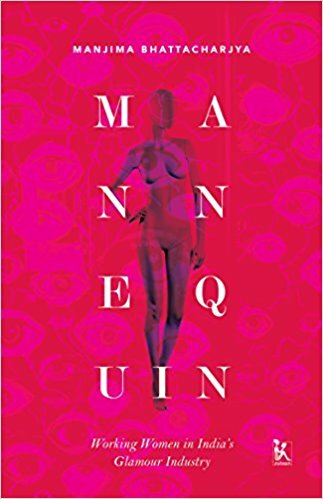 However, Manjima Bhattacharjya’s Mannequin: Working Women in India’s Glamour Industry does everything and more to break down stereotypes and bring forth the essence of the industry. “Why a book on models?” you may wonder, but reading the book makes you realise there is so much more to the industry. Divided into five sections, it covers a range of topics – from everyday struggles at work and failed attempts at forming unions to the hardship of having to ‘network’ in a gym. It is with insights like these that Bhattacharjya’s book takes on the fashion world in a truly feminist way. What she very easily manages to do is not pit feminists and the glamour industry against each other, as is traditionally done. It weaves a narrative of 30-odd interviews supported by feminist theorisation and delicious insights. One of the most interesting chapters in the book looks at the difference between how India and the West perceive models. Another refreshing aspect is how the author depicts the fashion industry as a legitimate profession that does not put models in the ancient victim-agent trope. However, given that the author is a sociologist, it is interesting to note that the line between fiction and ethnography might be a little too blurry, and the lack of dates and interviews stands out. Nonetheless, such little details do not take away from what the book is really about: Young, working women chasing their dreams.